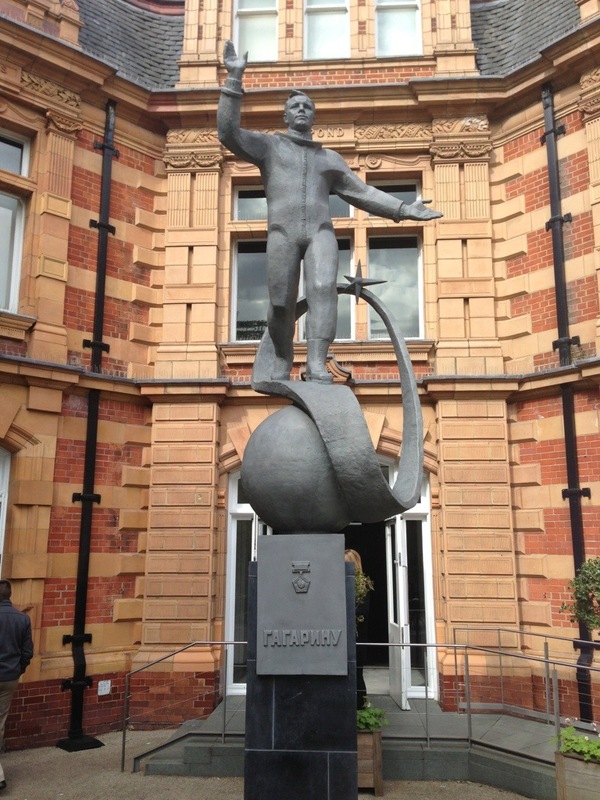 Following a recent tour of the Royal Observatory at Greenwich, the cradle of modern time and chronicler of our galaxy and beyond, I retired to the back for a coffee in their excellent cafe and was greeted by a striking statue of what resembled an astronaut of some kind. 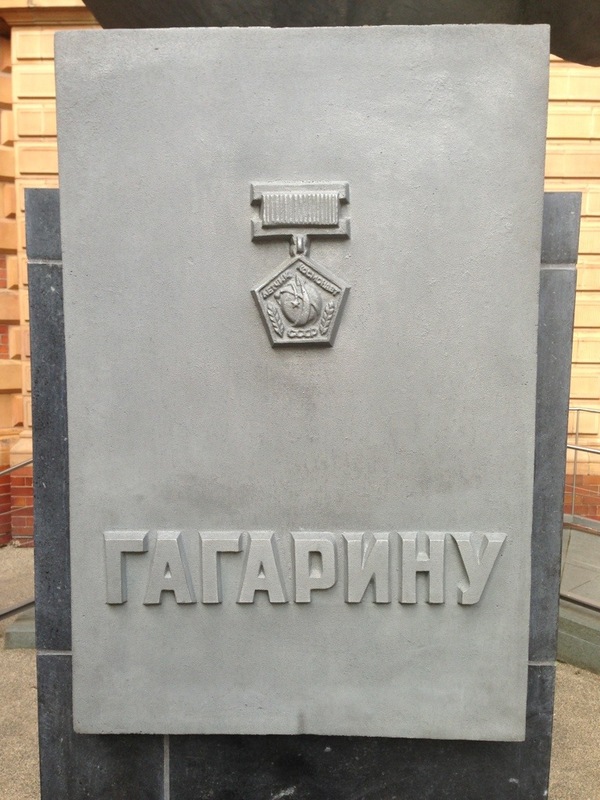 Within seconds, I’d guessed it was of Yuri Gagarin, the first human in space, not only by its figurative style but a lucky guess at the character repetition in the Russian spelling of his name. Indeed, Yuri almost has that heroic poise once seen on statues of Lenin or depictions of the forward march of the proletariat. This encounter brought back childhood memories of watching the space race progress on TV and my question was this—was my generation the first to countdown backwards in the language of play as a result of watching a steady flow of rocket launches on TV? We’d gone from 1-2-3 Go! 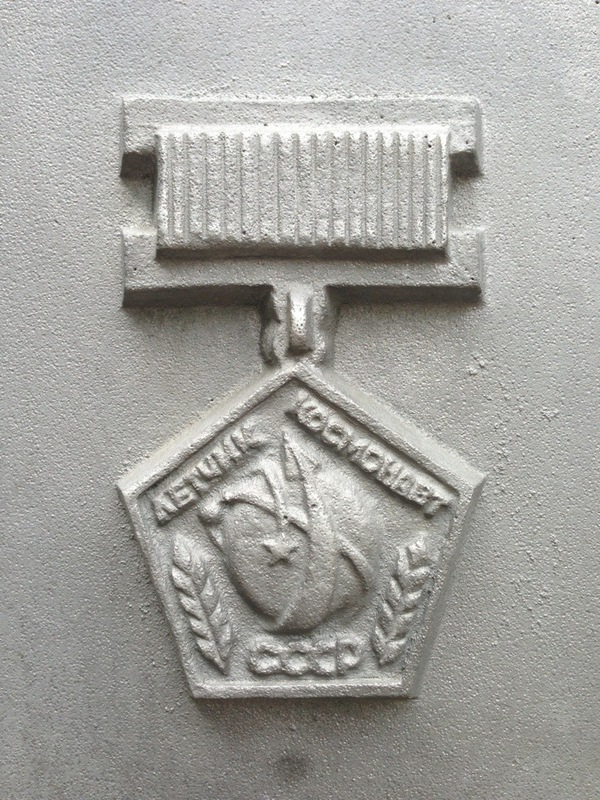 to counting down from ten to zero in an accelerating crescendo. Furthermore, would Manfred Mann have had a hit with the Mod classic 5-4-3-2-1 that went on to be the musical score of the opening credits to the unmissable Ready Steady Go every Friday night? The weekend started here, it said on the screen, and the Menn (sic) counted us down before the backing rhythm dropped in and my generation took possession of the weekend from our elders once more. However, my nostalgic dream was broken by the end of parking symbolised by a row of zeros on my iPhone, a distant offspring of the space race. As London’s skyline slowly rises, planning laws now govern and protect any existing sight lines of St. Paul’s Cathedral. 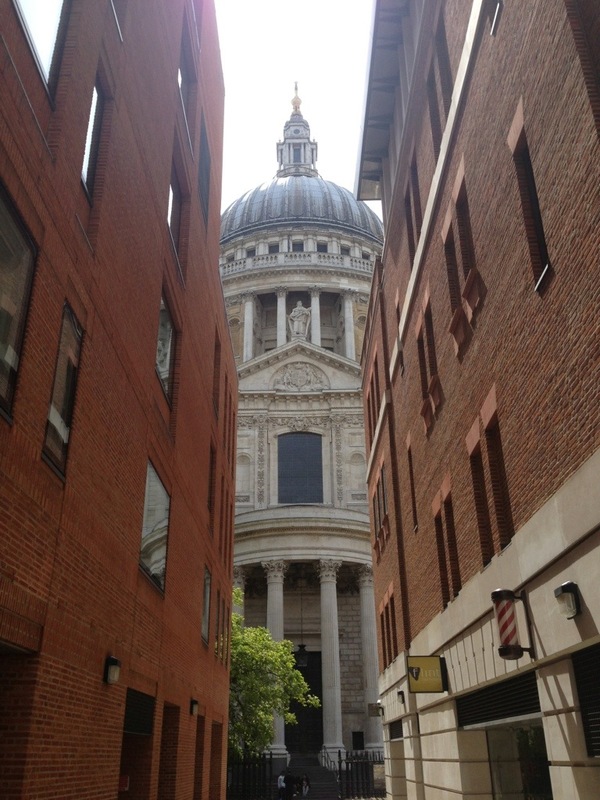 Such a ruling enabled this view of Wren’s masterpiece from Newgate Street and through the present Paternoster Square. 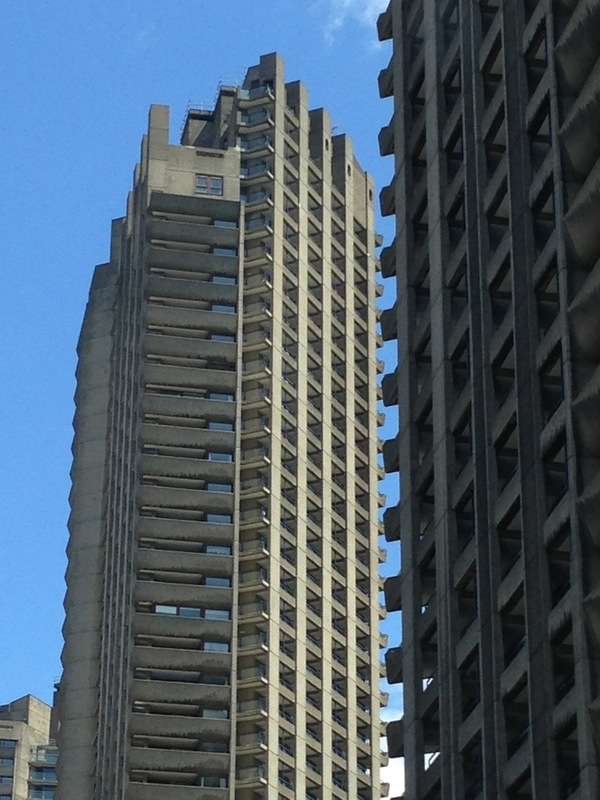 The jagged edges of the Barbican bite like teeth into the blue sky, a contrast to the many domes and spires of the City of London.